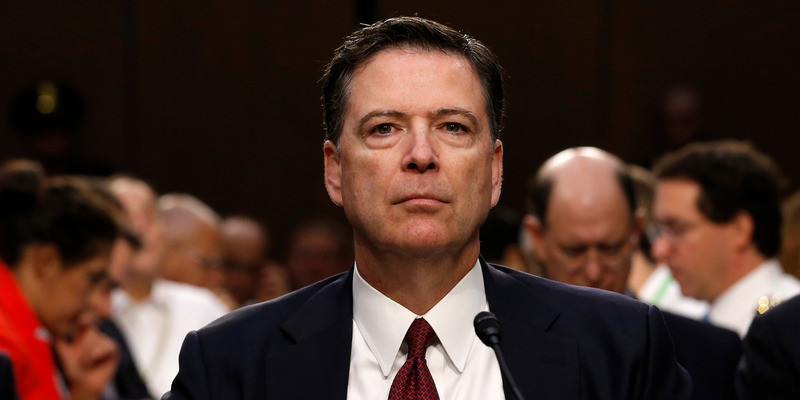 Former FBI director James Comey wrote in an op-ed Sunday that the FBI’s background check into Supreme Court nominee Brett Kavanaugh will not be “as hard as Republicans hope it will be.” FBI investigators “know that little lies point to bigger lies,” Comey wrote. “They know that obvious lies by the nominee about the meaning of words in a yearbook are a flashing signal to dig deeper.” It’s unclear how deep the FBI will be able to dig, however, because Republicans and the White House have imposed significant constraints on the scope of the background check. The former FBI director, James Comey, weighed in Sunday on the recent firestorm surrounding Supreme Court nominee Brett Kavanaugh and the decision to order an FBI investigation into the sexual-misconduct allegations against him.